Chris Sutton insists Ajax have what it takes to go all the way and win the Champions League after adding Juventus to their list of European scalps this season. 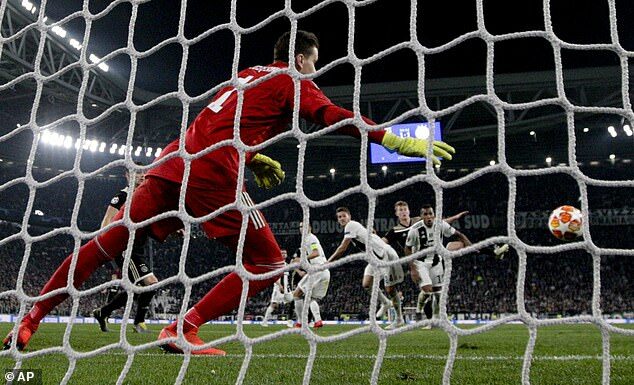 The Dutch side, who started their campaign in the second qualifying round back in July, won 2-1 at the Allianz Stadium to progress 3-2 on aggregate in their quarter-final. Having already beaten Real Madrid in the competition and drawing twice with Bayern Munich, they will now face either Manchester City or Tottenham Hotspur in the semi-final, with Sutton believing they now carry a genuine fear factor. ‘It wasn’t a fluke,’ Sutton said on BT Sport. ‘Second half Ajax were phenomenal. They upped their game and took it to Juve. 2-1 flattered Juventus. 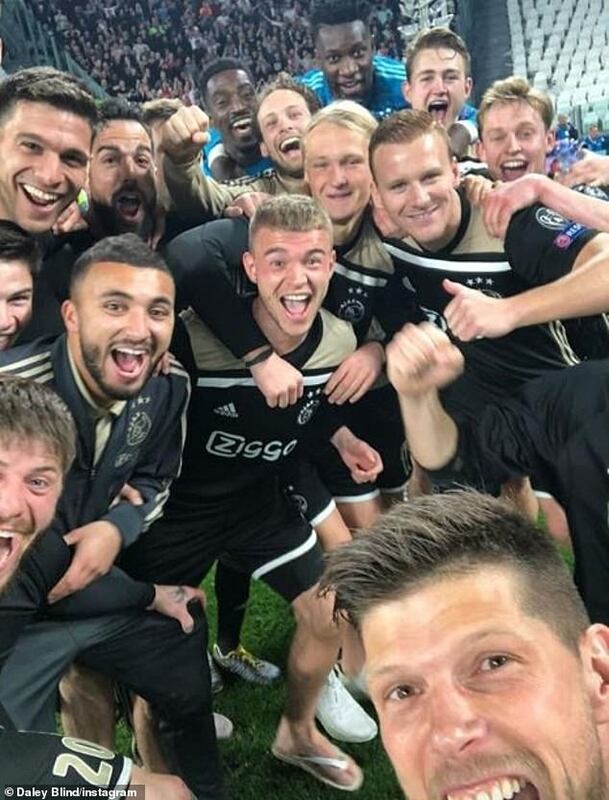 Ajax were absolutely brilliant. They can go on and win it. They are that good. 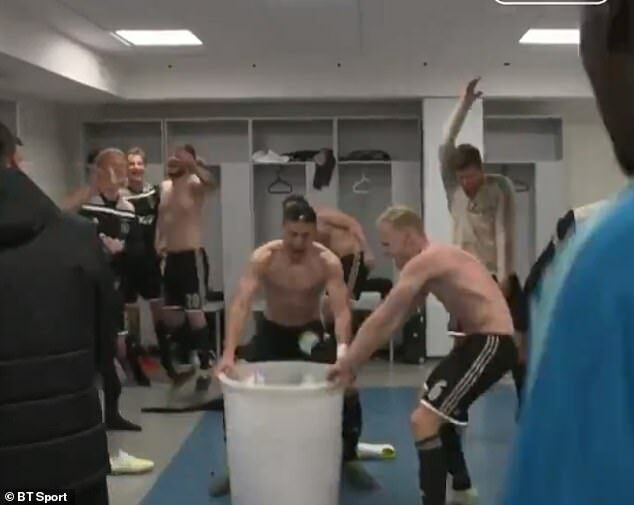 Following their brilliant victory in Turin, Ajax’s players enjoyed some jubilant celebrations in the away dressing room, with the likes of Dusan Tadic and Andre Onana leading the way. 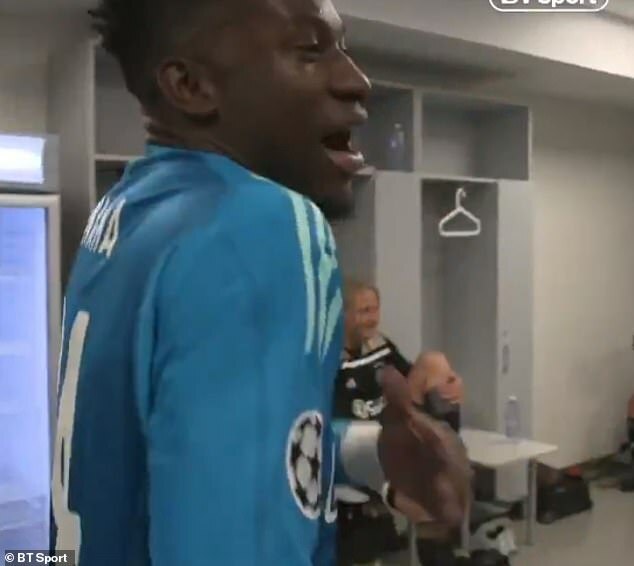 The young and exciting squad could be seen singing and dancing together in the changing room after impressing on the biggest stage yet again. 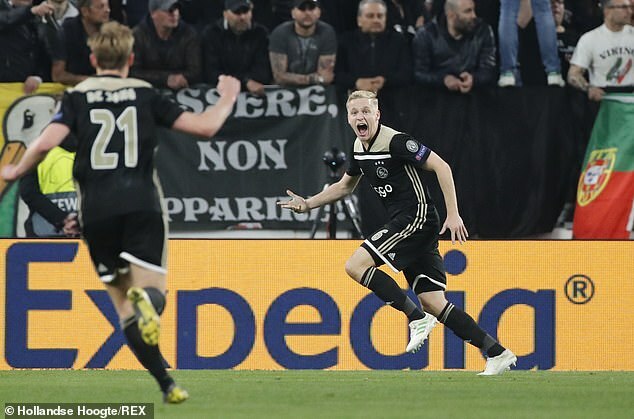 And Sutton also heaped praise on Ajax’s key men, including Frenkie de Jong, Matthijs de Ligt and Donny van de Beek, insisting they were set to become stars of the future having helped Erik ten Hag’s side come from behind at the Allianz Stadium. 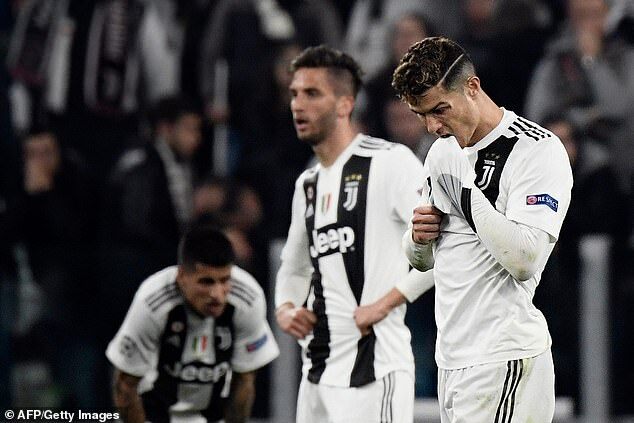 Cristiano Ronaldo headed the hosts in front before goals from the highly rated Van de Beek and De Ligt, from a towering header, turned the game around. ‘This is a great sporting story,’ Sutton added. ‘When you talk about money and elitism in football, and Ajax have done it from within. They strutted their stuff tonight. ‘Van de Beek, De Jong and De Ligt are going to be household names. De Ligt was described like a lion, he was more like a kangaroo with his goal. I said he was worth £100m before the start of the last game. He is an all-rounder. At 19-years-old he can run, jump defend, play and he smells danger. ‘This is a Juventus side who have dominated Italian football and brought in Ronaldo to win the Champions League. They were played off the park. They were made to look bang average by this young and hungry team.